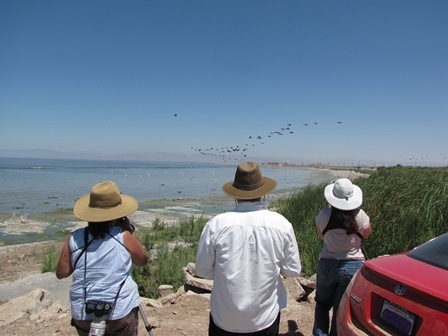 First a quick note about the Blue-footed Booby invasion at the Salton Sea with 18 birds reported last week. 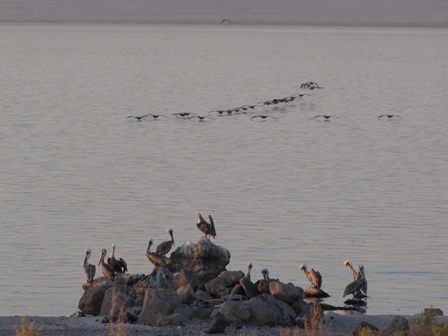 That number is now up to an unprecedented 70+ individuals at the Salton Sea!!! 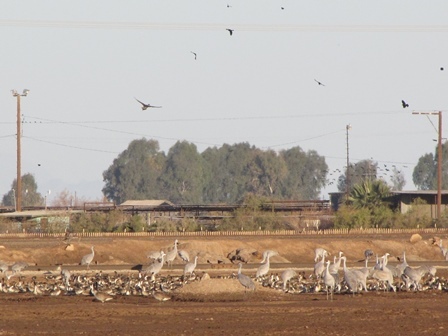 The Sandhill Cranes (SACR) have begun to return for the winter. 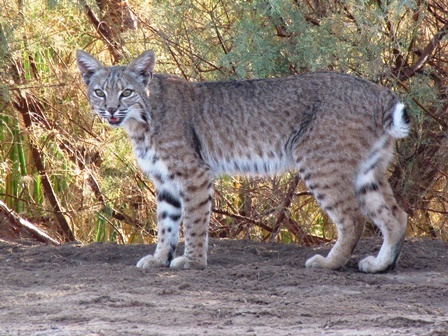 On Saturday September 21 there were 43 showed up south of Brawley near Dogwood and Keystone Roads. 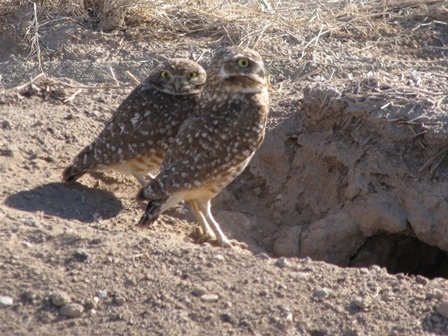 Henry Detwiler had a smaller number at Unit One of the Sonny Bono Salton Sea NWR (SBSSNWR) that same day. 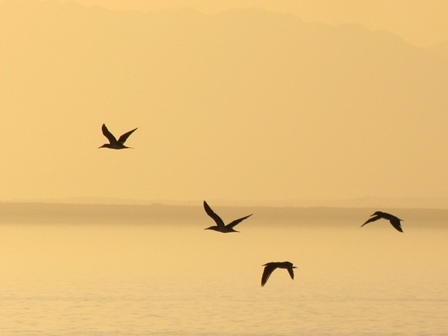 Friday evening at sunset, Sep 27, I counted 168 coming in to their traditional roost site. 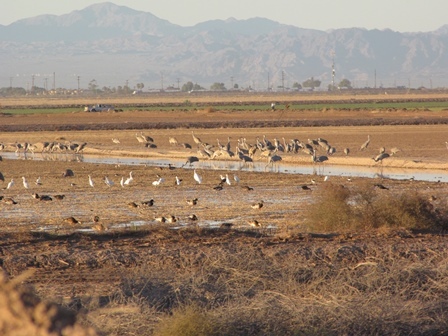 Last year there were nearly 1,000 SACR wintering in the Imperial Valley with about 750 of those individuals hanging out south of Brawley. Their numbers should rise quickly and it is quite the spectacle to have hundreds of SACR fly over at once! 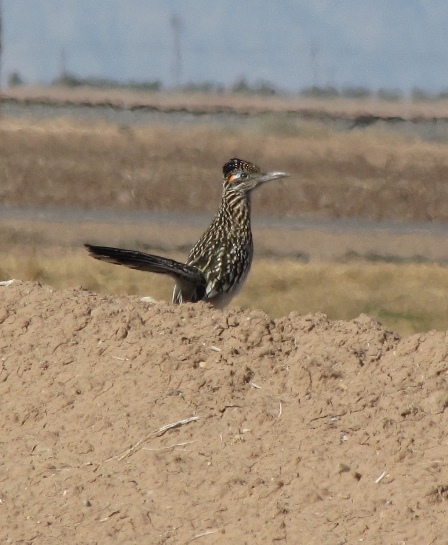 They stand near four feet tall and their loud calls can be heard for several miles. A great location to see them in flight is by parking in the area of the wide pullout on Dogwood Road at the warehouse facility just north of Keystone Road on Dogwood Road. Please do not block the gate! I call this spot the Crane Crossing. Every morning, just as the sun rises, and every evening shortly before the sun sets, they come streaming over Dogwood Road. 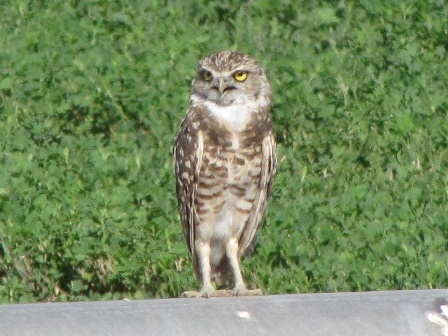 They tend to roost at the waterfowl hunt club on Keystone Road (PRIVATE PROPERTY) but can be viewed from Keystone Road. Keystone and Dogwood Roads are very busy with lots of truck traffic so park well away from the pavement and stand even farther from it. 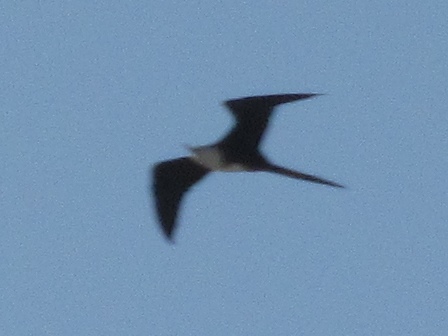 Video of the SACR flying in to roost on this day can be viewed HERE. Here is my eBird report for this visit. Sandhill Crane 168 No juveniles. Went back out to Obsidian Butte last night, Sept 20, for another spectacular sunset and saw 12 of the continuing Blue-footed Boobies. Went back out this morning, Sept 21, and saw 12 BFBO again but the count might have been as high as 16 as others there might have seen more. While watching the boobies with Chris McCreedy, James and Charlene Castle and Ron Holland,.a lone juvenile MAGNIFICENT FRIGATEBIRD streamed past high overhead to the delight of all present. 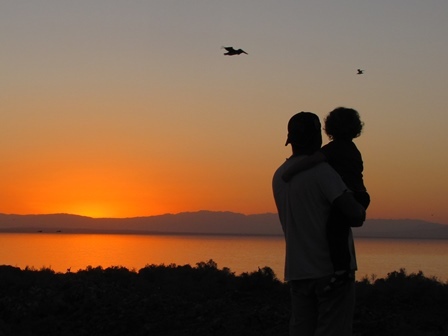 It has been many years since I last saw a MAFR here at the Salton Sea! My pics did not turn out so well but some of the others had some really fine shots. I then headed south for El Centro and ran into Mark and Camille Stratton along the seawall. 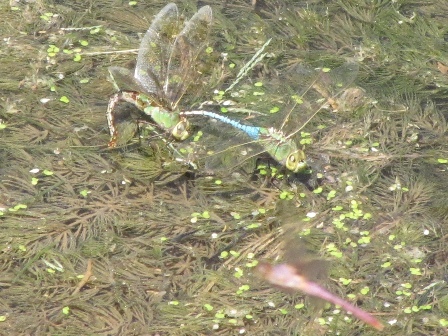 James, Charlene and I did some dragonfly watching along the Westside Main Canal. Roseate Skimmer were numerous and I snapped a few pictures of this pair of Common Green Darners as the female was ovipositing eggs in the vegetation as a male Roseate Skimmer buzzed by. More pictures of Friday’s sunset can be viewed HERE. The Blue-footed Boobies (BFBO) continue! Picked up my Mom and we made it out to Obsidian Butte just before sunset on Thursday September 19. 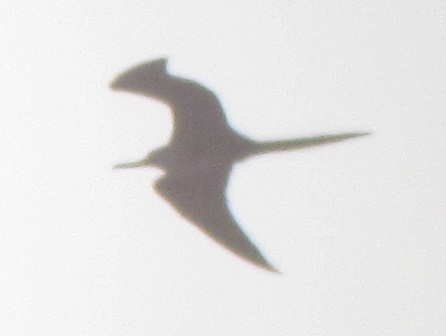 We were immediately greeted with 14 BLBO in a group fly-by with two flying in the other direction and two standing on the rocky shore for a total of 18 individuals. 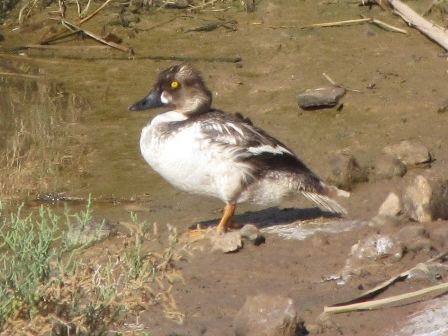 All appeared to be immature birds so do not head out there expecting to see the brilliant blue feet of an adult. Mike, Brandie, Emily and Andrew came out to enjoy the spectacle with us and there were a few other birders in the area enjoying it as well. Directions to Obsidian Butte and more information are in my previous post. More pictures from this day can be viewed HERE. 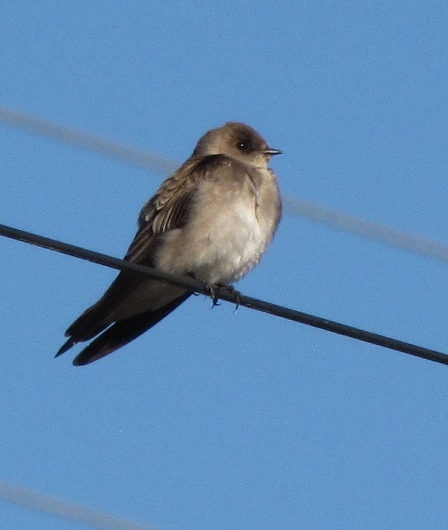 My eBird report for the visit can be viewed HERE. There is currently an invasion of Blue-footed Booby coming up from Baja California, Mexico and numerous birds have been reported up the California coast and in a few inland southwestern states. 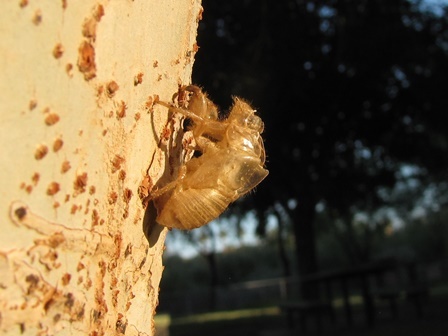 An oddity of this invasion so far had been that none had yet been found at the Salton Sea and in the few recorded invasions of the past they were most numerous at the Salton Sea. 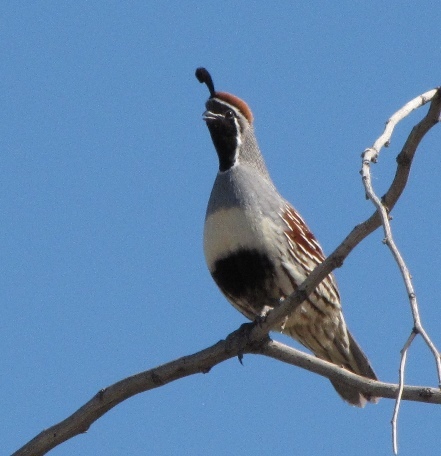 It appears that most, if not all, of the birds reported across the region are immature. I made a concentrated search on Sunday September 15 by scouring the southeast shoreline of the Salton Sea from Poe Road to Obsidian Butte and found none. 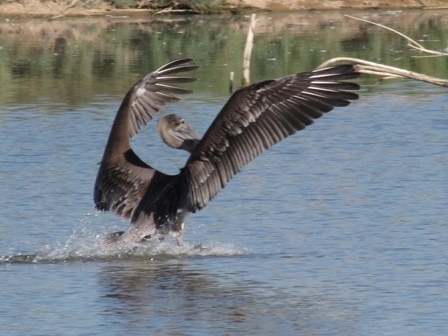 This leads me to believe that they arrived sometime this week as I could easily have missed one or two amidst the massive numbers of Brown Pelican currently on the Salton Sea but 18 together! Obsidian Butte can be reached by going west on McKendry Road from Gentry Road. This intersection is about 1/4 mile south of the Sonny Bono Salton Sea NWR headquarters at Sinclair and Gentry Roads. Continue onto Obsidian Butte and keep right making a counterclockwise loop around the butte, exiting on the seawall going south. 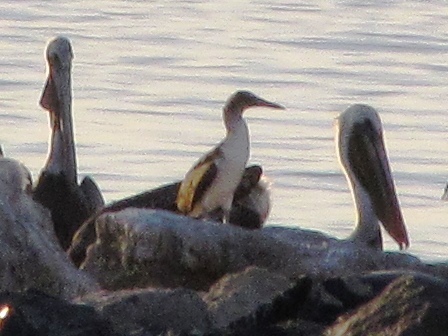 Search the rocks along the shoreline or anyplace where the Brown Pelicans are perched. 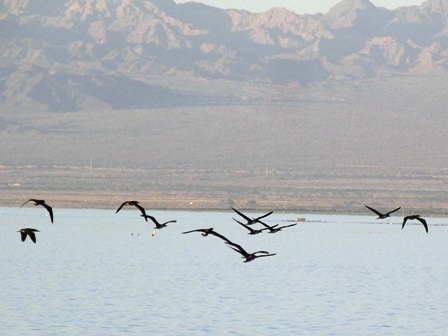 Keep an eye over the open water of the Salton Sea for birds plunge diving for fish. Even crazier than that? 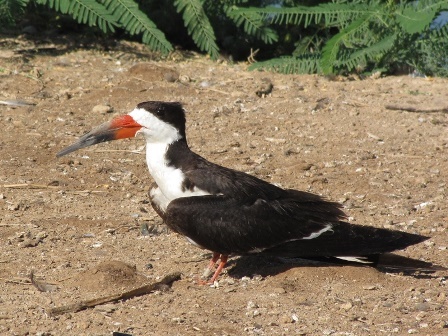 A few weeks ago a Hawaiian/Galapagos Petrel was found, deceased, in a vacant lot, in the middle of Yuma Arizona!?! 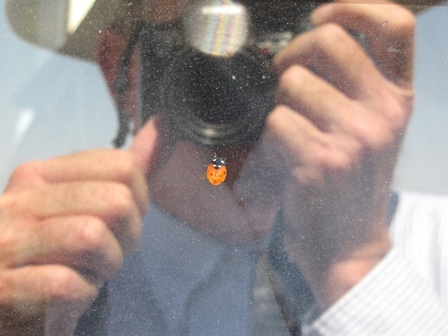 That unprecedented find is currently on its way to the San Diego Museum of Natural History for a possible positive identification by taking exact measurements. Just got a call from Henry Detwiler about 11:45am Sept 19. They are currently looking at 11 BLUE-FOOTED BOOBY on the northwest side of Obsidian Butte. They are near a favorite camp spot of mine, that I created a Google Map for some time ago. If you use the map, stop short of the camp spot and fire ring or you will likely flush the birds off of the huge obsidian boulder they are perching on just offshore. The map can be viewed by clicking HERE. 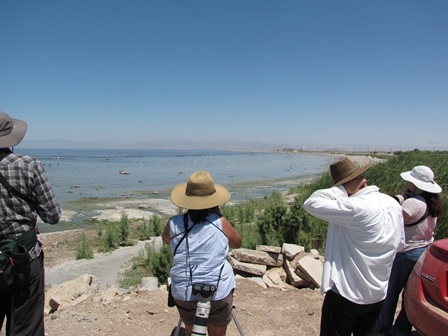 On August 11, Los Angeles Audubon Society made their annual summer field trip to the Salton Sea and Imperial Valley. 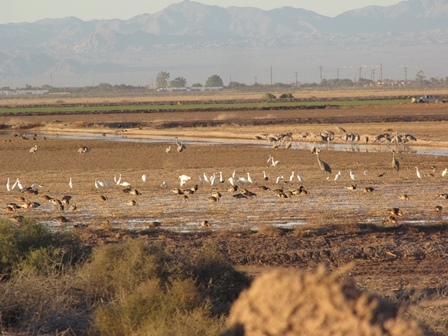 A few of the locations we visited were Cattle Call Park in Brawley, Shank Road Wetlands Project east of Brawley, Salton Sea, Sonny Bono Salton Sea NWR (SBSSNWR), and Imperial Irrigation District (IID) Managed Marsh. 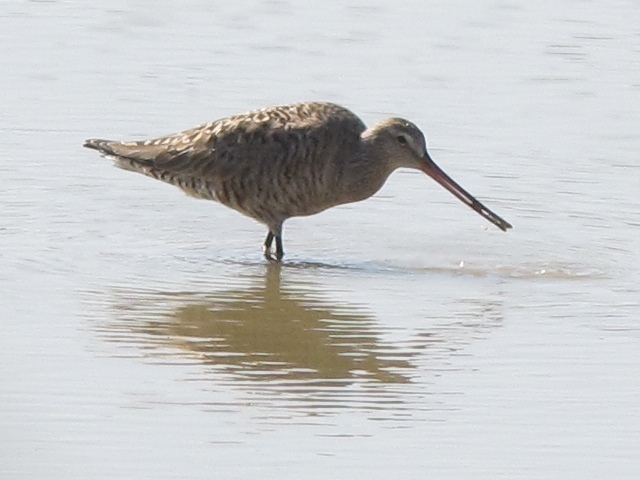 Guy McCaskie and Elizabeth Cooper found a HUDSONIAN GODWIT at Kershaw Pond this morning. The bird is a female. 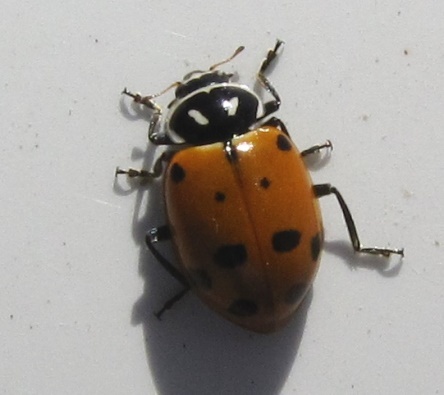 It is feeding quite successfully so it may well stay for the rest of this day but the odds are very high that it will take to the air and be VERY far from here when it lands again somewhere in Canada or Alaska as they are known to fly over a thousand miles at a time in migration! These birds nest in the extreme north and spend their winter in South America. 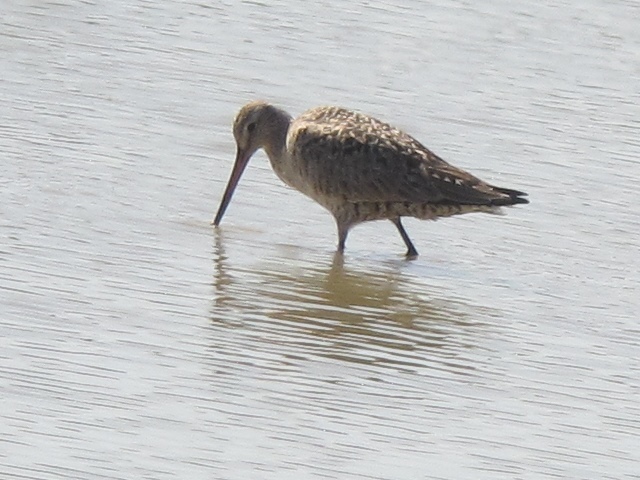 They look similar to Marbled Godwit which are common along the shore of the Salton Sea right now. 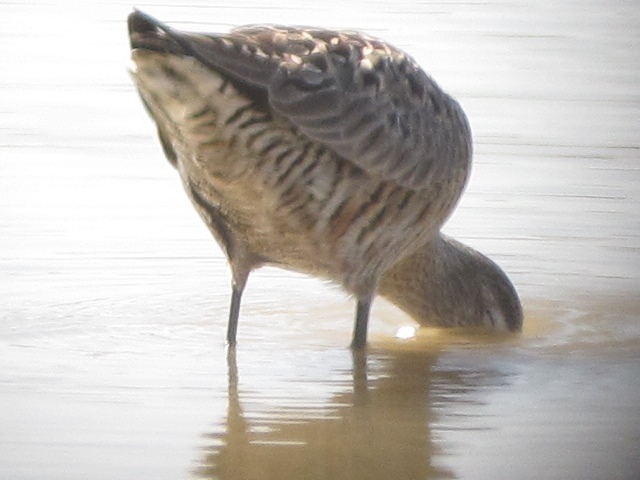 There are no other Godwit on the Kershaw pond with this one though. This small pond in on the east side of Kershaw Road, just north of the Alamo River, a few miles north of Rutherford Road and about half a mile south of Titsworth Road. This road carries a lot of farm and truck traffic so please get as far off the pavement as possible. Here is what I have been able to gather in limited time so this is NOT the absolute facts! 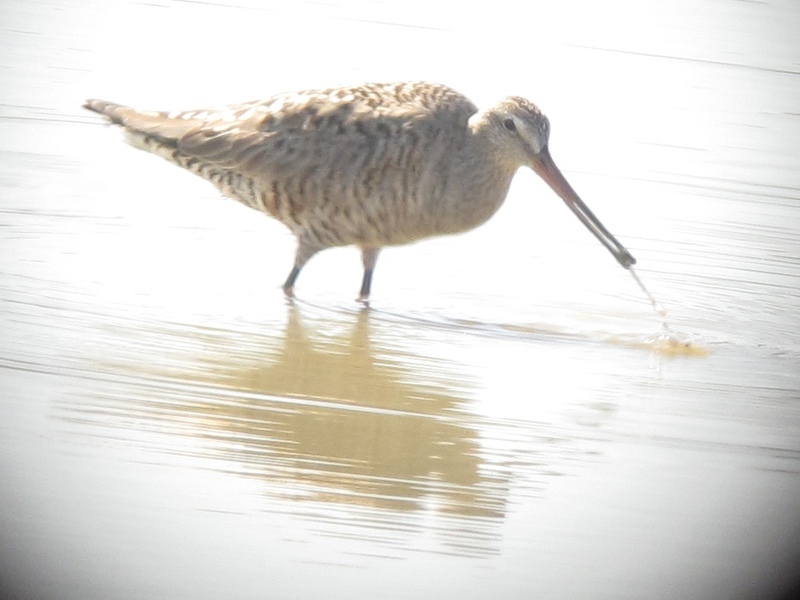 Hudsonian Godwit sightings in California “average” about once per year. 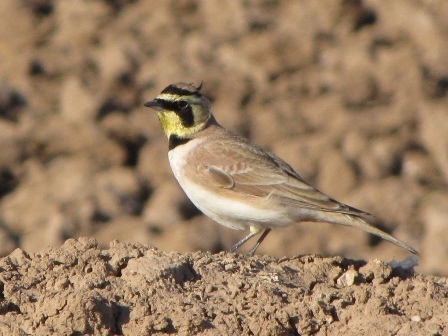 There may only be two records for Imperial County and one of those records was of a bird that was found dead. 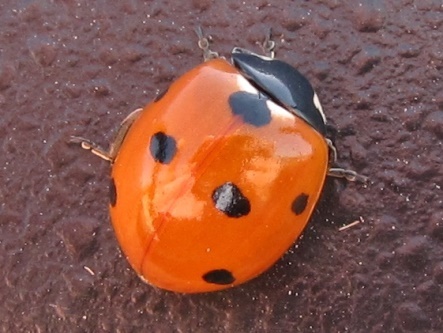 All spring records in California have occurred between May 9th and May 31st. Hudsonian Godwit 1 Found by Guy McCaskie and Elizabeth Cooper. 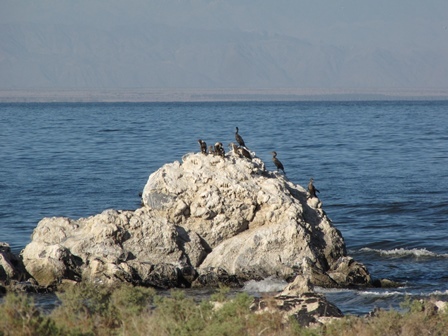 On May fourth…..I spent the morning in search of a Great Black-backed Gull that had been seen on the north end of the Salton Sea a few days earlier and had not yet been seen again. 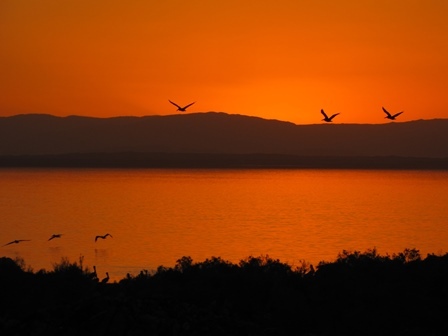 If it is not on that end of the Salton Sea then it might be on my end! If the record is accepted it will be the first for California! 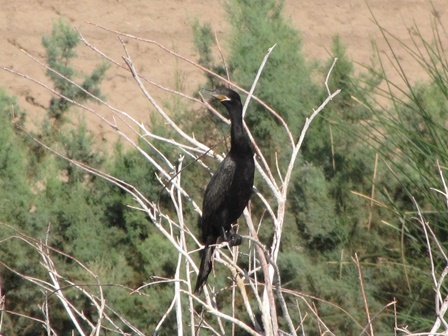 Sure thought I had found it at Lack and Lindsey when I found a large dark bird sleeping on the beach there. That bird had a fine nap because it was over an hour before it stood up. 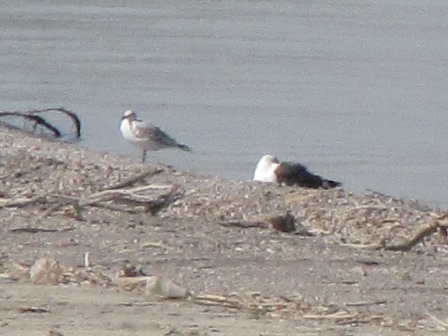 Turned out to be a Yellow-footed Gull. Hate it when that happens! Had some great sightings on the day though. Watched a Bobcat chase a rabbit, my first of season Black Tern, two Franklin’s Gull in breeding plumage and two adult male Snowy Plover in battle. More pictures from the day can be viewed on Flickr here. Some video of Snowy Plover males battling over territory can be viewed on YouTube here. 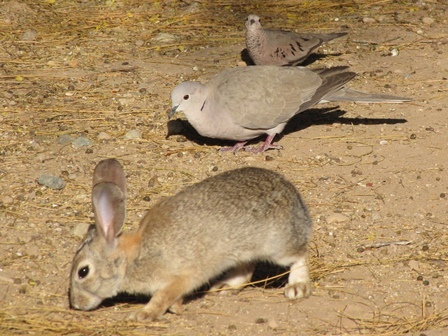 Desert Cottontail, Eurasian Collared-Dove and a Common Ground-Dove. 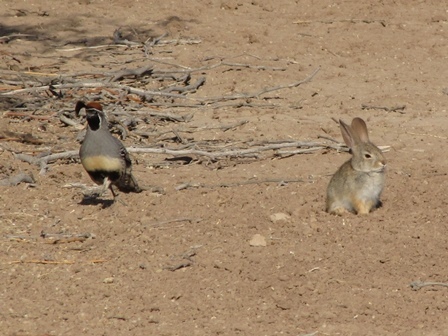 A baby Desert Cottontail and an adult male Gambel’s Quail. Late for the season male Common Goldeneye. 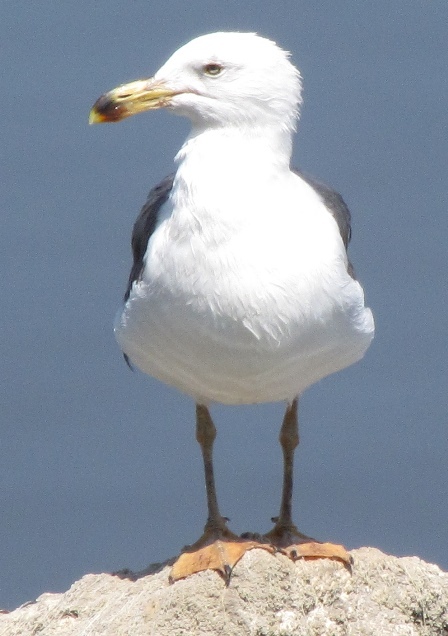 Great Black-backed SUSPECT that slept for an hour…..Yellow-footed Gull. 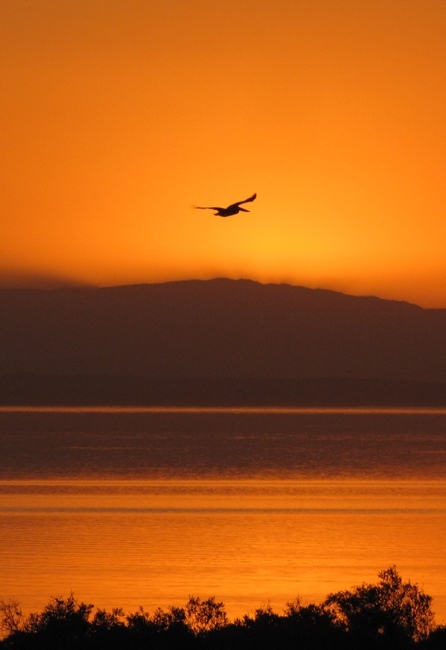 See ya at the sea……………………………..
eBird report for the day. Comments: Black-backed run. From Brawley on Hwy 111 to Sinclair. Garst Road and Red Hill then birded the shore of the Salton Sea to Poe Road with stops at the SBSSNWR visitor center, Obsidian Butte, seawall to Young Road then to Poe Road. Gadwall 4 (2) in pond off McKindrey road on east side of Obsidian Butte, (2) at Lack and Lindsey. Snowy Plover 6 North end of Poe Road. 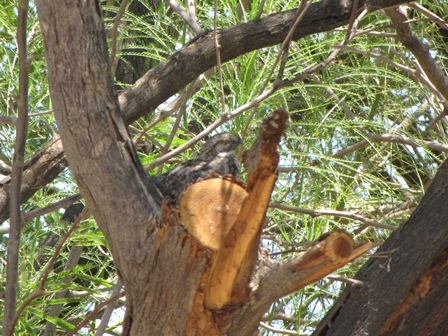 Including (1) very young fledgling. Yellow-footed Gull 2 (1) near adult still showing black on bill. American Kestrel 10 Including one deceased fledgling lying in the roadway on young Road just east of seawall. Common Raven 2 Lack and Lindsey Roads. 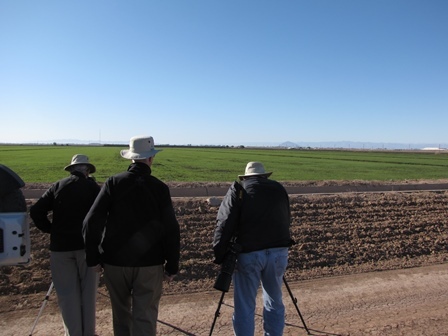 Bill and Nancy Denton, Jim Seal, and I spent the weekend of February 9 -10 birding the Imperial Valley and the Salton Sea. One of the best birds we had over the weekend was the one did NOT even see! We had stopped near Brandt Cattle Company on Brandt Road to view a large flock of Cattle Egrets that were taking a morning break. While viewing our photographs on Monday we noticed this “blue” bird in the mix!! 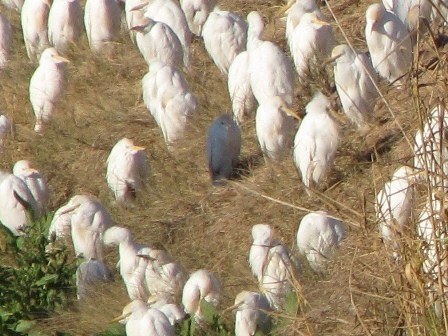 Our best images are not definitive enough to say it is positively a Little Blue Heron but unless it is a Cattle Egret that some comedian dyed blue…… As odd as that sounds, someone had dyed a Cattle Egret bright pink near Ramona, CA a few years ago?! Cattle Egret and probable Little Blue Heron. Tens of thousands of Northern Pintail, over 700 Sandhill Crane, numerous Mallard and American Wigeon and a few Canada Goose were gathering in the area near Keystone and Dogwood Roads for most of the winter. Northern Pintail, Sandhill Crane, Canada Goose. Near Dogwood and Schartz Roads, many Mountain Plover were in this Bermuda grass field that was already coming on strong after being burned off. 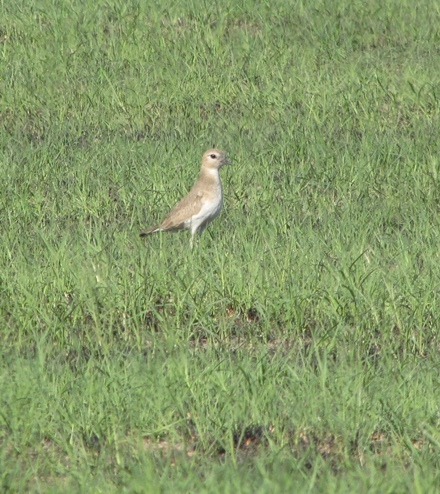 Mountain Plover, the Prairie Ghost. 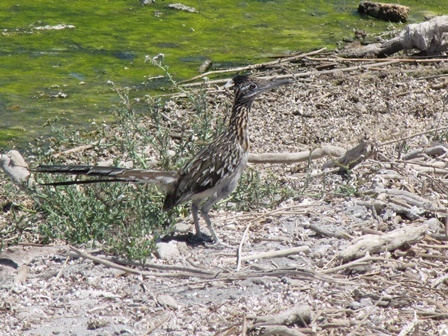 We watched this Greater Roadrunner eat a lizard and then sing for us before we moved on! 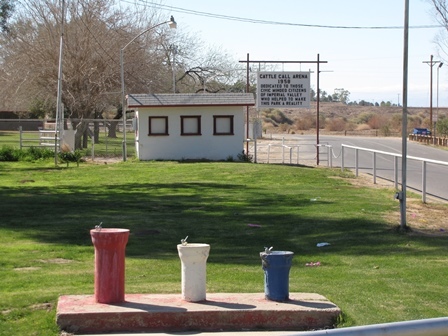 Cattle Call Park in Brawley. 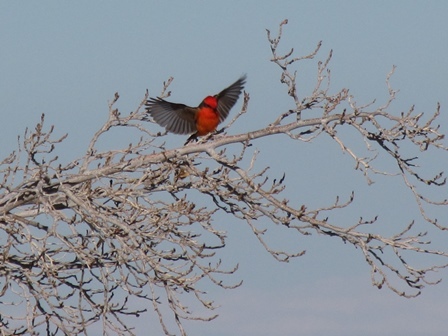 There were two males and a female Vermilion Flycatcher on Pound Road east of Davis Road. 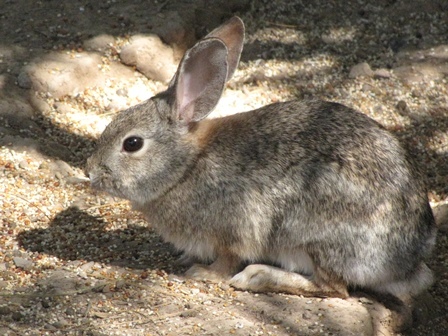 Among the critters at the Sonny Bono Salton Sea NWR were this Desert Cottontail and a singing male Gambel’s Quail.